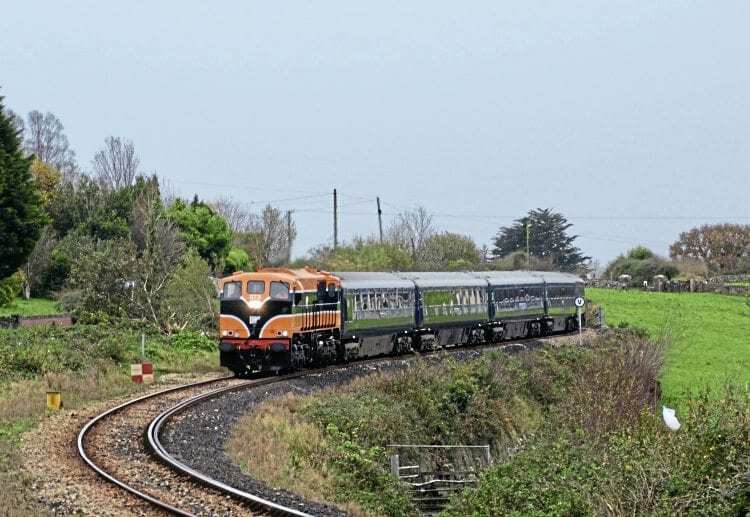 BELMOND’s ‘Grand Hibernian’ luxury train ventured onto new metals on October 24 as part of a trial that took the train from Limerick to Dublin via Athenry. In many respects the trial was inconclusive as the train engine was Class 071 No. 073, and not one of the Class 201s, which have yet to travel over the Limerick to Athenry line. However, as well as being a Belmond ‘first’, the trial did mark the first visit of Mk3s since the Irish Railway Record Society’s ‘Farewell to Mk3s’ railtour on April 24, 2010 (excluding the transfer of a few of the type to Ennis for the West Clare Railway).